Afërdita Syla is a Resident Program Manager for NDI in Kosovo, where she manages parliamentary transparency within NDI’s legislative strengthening program. She also runs NDI's women’s parliamentary caucus program and was the 2012 Andi Parhamovich Fellow. Earlier in her career, Afërdita worked with the Government of Kosovo as a political advisor to the Deputy Prime Minister and served as the Executive Director of the Gjilan Youth Center, a local NGO. 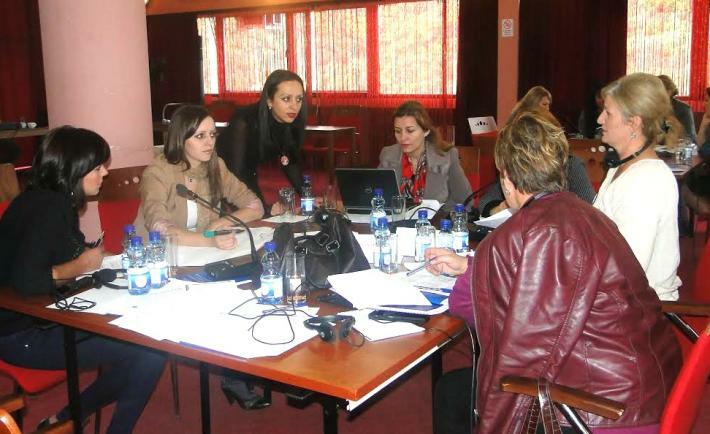 A workshop on Gender Responsive Budgeting, held in October 2012, where women councilors developed an advocacy plan and timeline for their municipality’s priority issue. Meaningful democracy means the equal participation of women and men in political and public life. In 1999, just after the war, I found myself back in my hometown, having spent months as a refugee in Macedonia. As Kosovo recovered, the UN and many international organizations were present to help Kosovars build institutions and capacities and to reconcile communities. I started to run the youth center in my hometown, and I had the opportunity to talk one-on-one with young people while I worked there. We were a new generation and we had gone through difficult and different experiences during the conflict, so getting together in this way was a real challenge at first.